This may sound Sad but I think it would be a Good Idea. 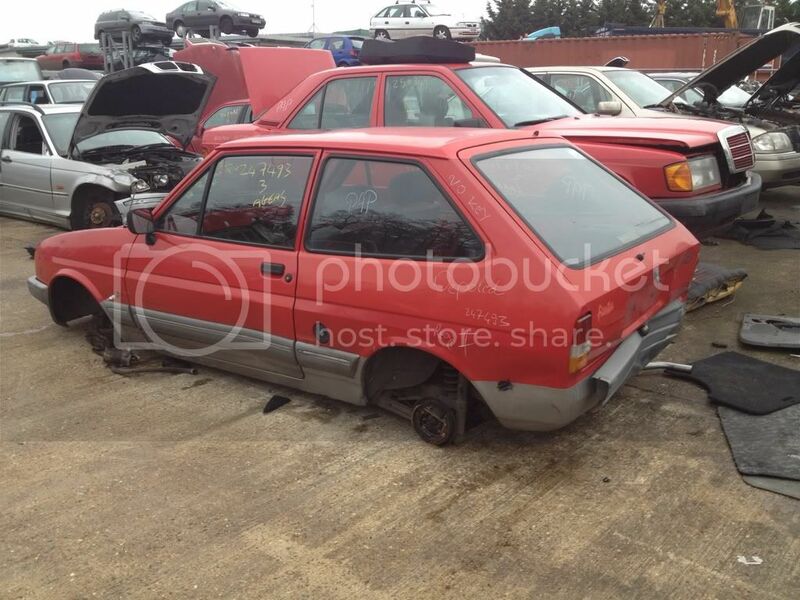 Members should Post Up if they see a Fiesta Mk1/2 in a Scrapyard and Report Where it is in this Thread. It's getting Drastic Round my Area and I am Willing to Travel to get some Bits. The last xr2 I saw in a scrappy was a grey one in silverlakes Southampton 2009 and the shell was near as damn it perfect....... It had a tiny and I mean tiny dent in the front panel which didn't even touch the rad and the owner thought it was worthless so sold it to them as scrap........ 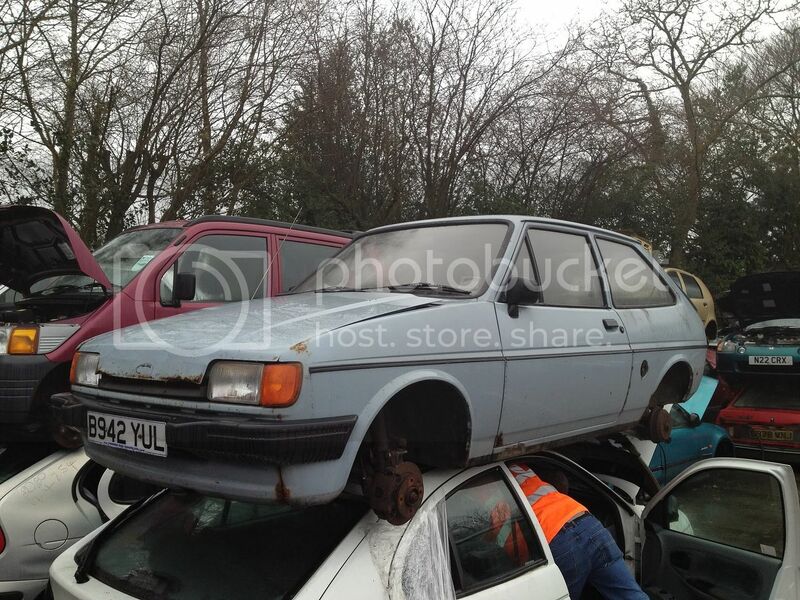 I tried to buy the car but once it's in the rack she is dead, I was gutted as my xr2 at the time was a shed compared to that lol. 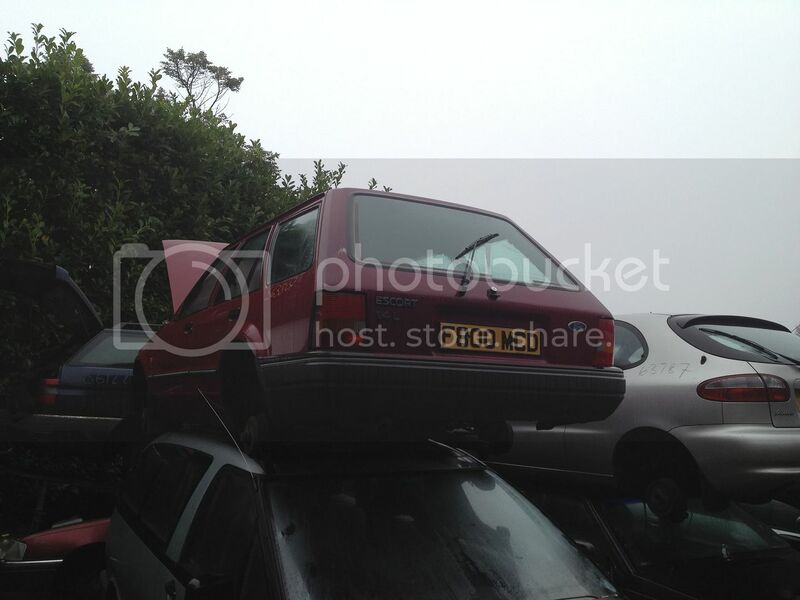 I've not seen a Mk1/2 in a scrapyard for at least 3 years now. Bridges @ Pease Pottage is usually good for MK2's. Actually They usually always have at least one of most popular 80's hatches. 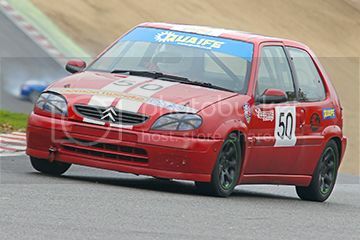 MK1/MK2 Golfs, Peugeot 205's etc. This one really annoyed me. Mk2 GTI with only 70k on the clock, just needed a good clean. The only thing I could see wrong with it was the sunroof seal had gone (tape on the roof). It was sitting outside the processing shed (fluids to be drained). I got in it, turned the key and it started first, really quiet clean engine. Immaculate interior, still had the original radio. I quickly went to the office to see if the owner hadn't finished the paperwork yet, see if I could give them a better offer, but it was too late, it had been electronically scrapped. The owner was an old gent who had no idea about the value of the car! i cant find a online translator to translate that ,. Mk1 the scrappy near me. Nothing left on it anymore though. I'm after a windscreen and stupid bits of trim. There is one in silverlake!! Rust is lighter than carbon fibre, but rust holes are lighter than rust! !